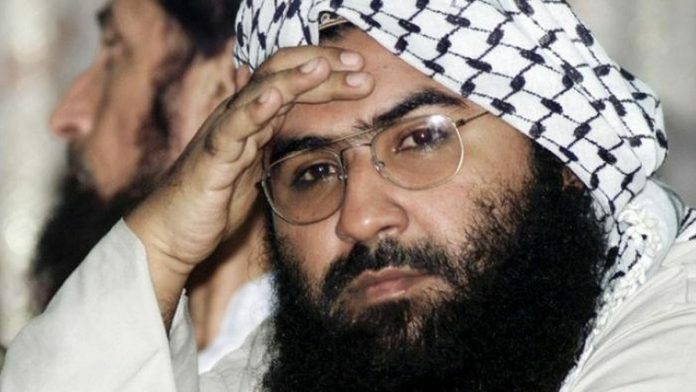 New Delhi: After China placed a technical hold on the United Nations Security Council (UNSC) move to list Jaish-e-Mohammed (JeM) chief Masood Azhar as a designated terrorist, China’s state-run daily Global Times Thursday said India did not present any new proof against Azhar. “A new move of anti-China sentiment has swept the Indian public opinion. However, Indian public should notice that China just put a technical hold on the move. It did not veto it,” Hu Xijin, editor-in-chief of Global Times, said in a video. “In fact, based on what I know India did not present any new proof to support blacklisting of Masood Azhar,” said Hu. The Global Times editor said that the main aim of the Indian government behind “forcing” China to put a technical hold on the bid was to “instigate domestic public opinion” within the country and “win more support for BJP (Bharatiya Janata Party) in the upcoming general election”. In order to blacklist an individual or an organisation it is important that connections of the person and group with Taliban, Al-Qaeda and ISIS be proved, said Hu. “India should provide specific material to prove the connection between Masood Azhar and these organisations. India’s nationalists making a fuss of this issue reflect their shallowness,” he said. Hu emphasised that China is India’s “friend” and not a “hostage of Indian nationalism”. On three previous occasions, China has blocked India’s move to list Masood Azhar as a designated terrorist at the UNSC. Separately in another news article, Global Times carried experts’ opinion on the issue stating that “China needs solid proof in Azhar case”. Liu Zongyi, senior fellow of Shanghai Institutes for International Studies and distinguished fellow of the China (Kunming) South Asia & Southeast Asia Institute, said in the article: “JeM has been included in the Security Council terrorism sanctions list. It does not target civilians but the Indian military and police. India is forcing China to support its bid. But China will not yield to pressure. “The recent Kashmir attack has once again ignited public anger against Pakistan, and the Indian government has realized it should at least make some gestures. Meanwhile, the Indian government can divert public attention in the run-up to the elections toward China,” said Long Xingchun, non-resident fellow of Chongyang Institute for Financial Studies, Renmin University of China, in the same article. “China has spared no efforts in pushing forward international cooperation in anti-terrorism efforts, but at the same time hopes other countries will not hold double standards on terror attacks on its soil,” added Long Xingchun.